WANTED: Apple Product Tester in the U.K. ! 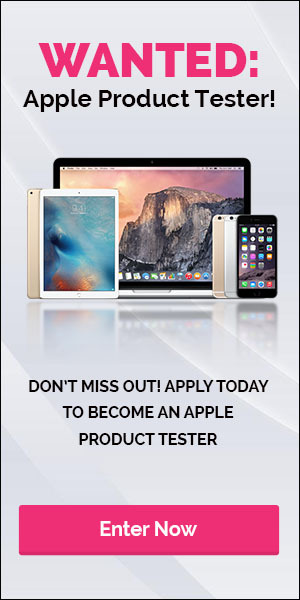 U.K. Testers wanted for Apple product testing! Win amazing prizes, save money and get great deals by entering the great previ.co.uk prize draws and promotions – all for free.